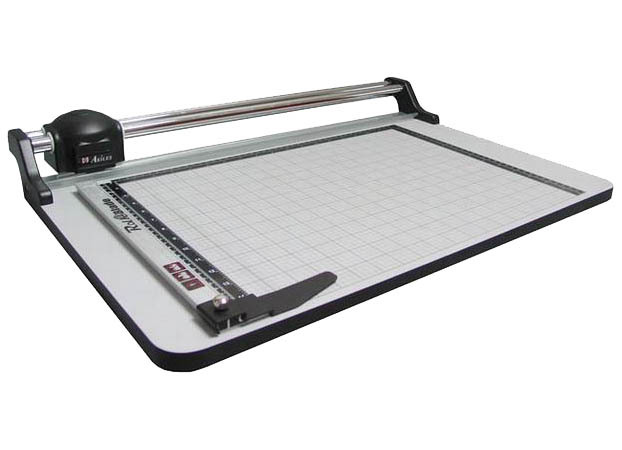 Looking for a paper cutter that’s safe and features a larger-than-normal cutting surface? Try the Akiles RollBlade High Precision 36” Rotary Trimmer. The RollaBlade comes in two sizes, but the RollBlade 3615 is the larger of the two and has enough space for up to 36” in trimming length. 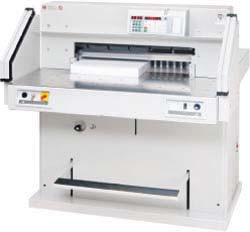 The RollBlade High Precision 36” Rotary Trimmer uses a rotary blade that slides along an alignment guide to cut up to 15 sheets of paper simultaneously. Because the blade is encased in an ergonomic handle, it’s significantly safer than guillotine-style paper cutters. A rotary blade cutter can also be significantly more stable and accurate. Instead of slamming down on a stack of papers with a blade, the rotary blade runs along a guided path, providing a straight and more defined cut. The RollBlade currently sells for $345.00 on our website. For more information on the Akiles RollBlade High Precision 36” Rotary Trimmer, visit our website. Next Post:Looking for an 18” Rotary Cutter?